I held off on writing anything originally, as while Paradox do often have Linux support in games they publish it's not always the case. This particular game is being developed by Hardsuit Labs, a developer who Paradox Interactive acquired a minority stake in last year. However, thanks to our eagle-eyed contributor BTRE, it was spotted on SteamDB adding Linux (and Mac) to the "oslist". This is not confirmation though to be clear, this has happened before with no Linux version released and at times even done by accident. Paradox didn't reply to my initial emails when the game was first announced, so I've reached out again now through different channels. You can follow it on GOG and Steam. I would hold off on any pre-orders until we know for sure, the actual release isn't until March next year so there's plenty of time ahead. If it's the case, then it's a very good news, it would be a major awaited AAA coming to our platform. I didn't even knew they are makig a second one, and the first was one of the very few games my wife liked. Been tempted to grab the original to play under Proton as I have never played it. Apparently works well, and by "well" I mean it's just as buggy as running it natively, and some Win10 users have actually had trouble running it. Joking aside, I'm pretty excited to see this game coming out and twice as excited now that I hear it looks like it'll be coming to Linux! I started playing the first one (after spending a long time setting up a functional sc-controller profile for it), and I had quite a bit of fun ... until I tried to drink the blood of someone I thought was a bad person, but wasn't, and I became a little less human as a result. Dang! I hate when I drink the wrong blood! rustybroomhandle Been tempted to grab the original to play under Proton as I have never played it. Apparently works well, and by "well" I mean it's just as buggy as running it natively, and some Win10 users have actually had trouble running it. But don't make the mistake and forget the patch - it is a must have and the issue why your "Win 10 people" have their issues. I picked up the original last weekend when Humble had it on special. Got it running at 1440p under Proton with the unofficial patch. Unfortunately it locked up at the end of the tutorial and I hadn't saved it. Bummer. I don't have the time to invest in a proper playthrough right now, but it will go near the top of my backlog I reckon. I just wanted to play enough to register a count to the Linux stats, which I imagine may help inform whether Paradox release a Linux port of Bloodlines 2. BTW, Humble have this much cheaper than Steam in AUD$ pricing: AUD$20 on Humble versus AUD$30 on Steam. That's unusual. Great news, if true! Paradox really got better lately with untying their games from particular stores and aiming to release them on GOG as well. 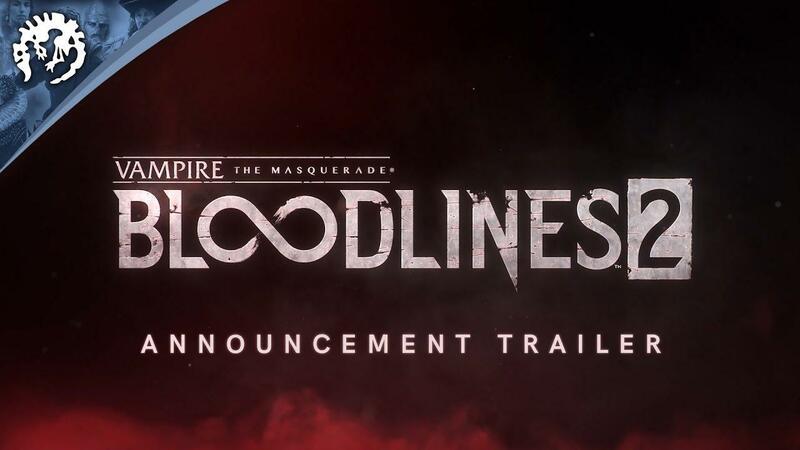 Bloodlines 2 on Linux and DRM-free would be a treat.